Unparalleled Professionalism in Elbrus guiding is our daily routine. Everyday. Working in big mountains and Mountain Guiding, is very different from any other kind of business in the field of tourism and obliges mountain guides to pass a long and not easy way, fully examine all the work nuances, gain the necessary experience and knowledge base to ensure the proper level of safety, as the stay in the mountains is always conjugate with certain risks. Our number one priority and mission is the maximum possible control of these risks, competent and prompt assessment of the situation and ensuring your complete safety. Even before we started the Russian Mountain Holidays, we spent years and years guiding in the mountains and preparing the necessary framework to work with our guests on the world’s highest standards of mountain guiding and the adventure company as a whole. Initially, our approach to work was fundamentally different from all other adventure companies as our goal has never been just to make money or to conduct any business. Everything we do now has always been our huge dream, our lifestyle, and way of thinking, our passion and our favorite business. We are proud of that and work hard on it. 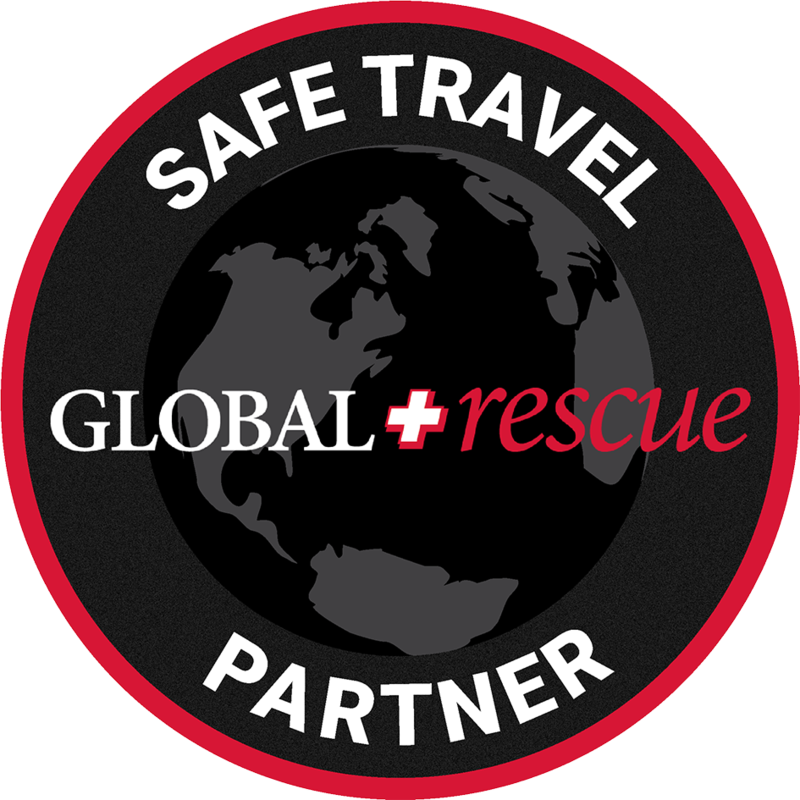 By choosing RMH, you always get the maximum level of safety and the most experienced and qualified mountain guides who have spent years mastering their profession, have passed strict certification and have many years of guiding practice in this exact area. We guarantee that you always get the top-level quality at each stage of the trip, best-proven hotels, and mountain lodges, as well as a flexible program. We are here today to help you to get the most out of your ultimate mountain experience, whether you are a beginner or an advanced climber. Safely and flawlessly. Why Russian Mountain Holidays and not the others? We are locals and we know every single meter of the area. Thanks to that, we always get you a whole lot closer. Our guides have received an excellent training according to the IFMGA guiding standards and have passed all the required exams, and can call themselves rightfully professionals in their field. We are a licensed adventure travel company and the official tour operator of the Russian Federation. Not a private entrepreneur. That means we always take responsibility for you. We officially have the right to provide visa support and register foreign citizens in Russia. We are a direct service provider. We never resell someone else’s trip packages. All our programs and trips are 100% unique and custom designed and have been tested by the best local mountain guides. For the last few years, we have explored the entire local infrastructure in all details and we choose only the proven options for accommodation and food for you taking into account all the best logistic solutions of the area to enable you without any distractions enjoy the unique atmosphere of the Caucasus mountains and authentic local cuisine. We treat you like part of a big outdoor family, so we never try to save money on your comfort or safety. We always guarantee you the most individual and the deepest approach. Communication. We are always in touch and answer you in less than 24 hours. Even if you don’t book with us, you can always count on a free consultation and competent advice from us on any matter connected with Elbrus climbing or backcountry skiing in the North Caucasus mountains! In Russian Mountain Holidays we never just sell our services or local knowledge. We bring deep approach and quality to Elbrus guiding industry while making your dream a reality. Media package. We also specialize in high-quality action video production, and this is our second direction in our favorite business. You always have an opportunity to take away your memories in Full High Definition quality! Moreover, you always get professionally processed photos for free! We are all fluent in English. No one can open up and show you all the beauty and all the highlights of the area and local culture as the locals can! 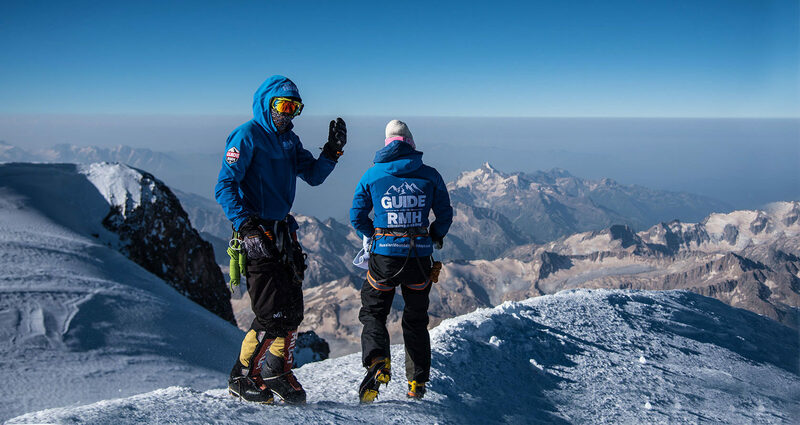 All our guides and the whole team are the people who were born and raised in the Elbrus region, with over 65 years of guiding experience in total and ascents not only in the Caucasus mountains, but also in various mountain regions of the world, including the Himalayas, South America, and the Alps. Some of them were among the pioneers of commercial expeditions to Mt. Elbrus and were among the first ones who started working with foreign guests as professional mountain guides! The Russian Mountain Guides Association specializes in mountain guides training and certification according to the IFMGA international standards. The RMGA was founded and keeps working in close cooperation with the Association of Canadian Mountain Guides. The best ACMG guides are the Russian Mountain Guides School mentors. 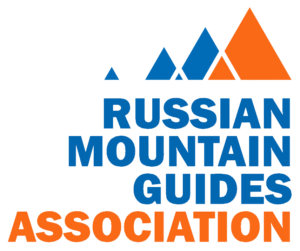 The Russian Mountain Guides Association is responsible for the formation of the international IFMGA standards of mountain guides training and certification in Russia. The Association of Canadian Mountain Guides started the development of the wild, uncultivated expanse of Canada’s northern territories for more than half a century ago, becoming the first Association of Mountain Guides outside Europe, which became a part of the IFMGA. Today, it is one of the “most ancient” professionals in the world mountain guiding industry, which has produced more than 1,000 certified IFMGA Mountain Guides in recent decades. The Canadian Avalanche Association is the world leader in the study of snow cover and of all aspects of avalanche safety, which has formed for several decades the highest standards of education in the field of avalanche research. Since the foundation of the Russian Mountain Guides Association, each candidate has been certified according to the international CAA standards.